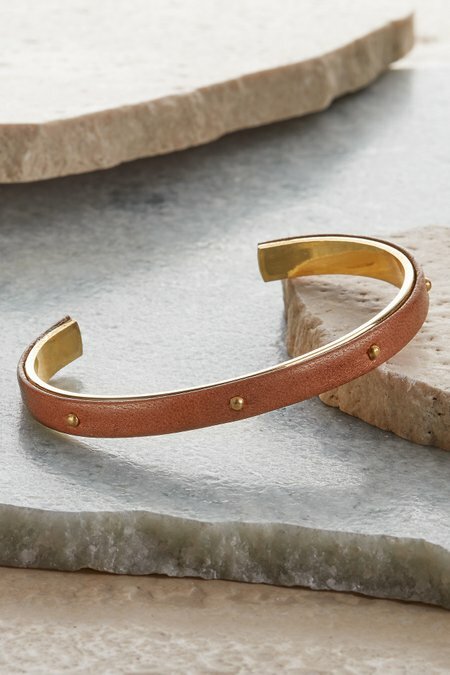 Two are better than one and three are best when it comes to these cutting-edge gold-tone cuffs. Vegan leather accents are embossed with leopard or snake print, or gold metallic studs. Designed for stacking, you can't wear too many at a time. Each is sold separately.